After years of planning and fundraising, community members and Portland officials opened Cully Park Saturday. The 25-acre park at Northeast 72nd Ave. in Portland was unveiled with live music, Native American drumming and storytelling, food and games for the community. Funding for the park came from public and private partnerships with the Park System Development Charge — a one time fee assessed on a development that covers a portion of the cost — and various private donations, according to a news release. Verde, a Portland-based outreach and advocacy group, spearheaded the "Let Us Build Cully Park!" coalition, and raised $70 million in donations from a combination of 50 donors, partners and grants. Portland Parks Commissioner Amanda Fritz devoted $6 million in System Development Charge revenue for the park's construction. "The new park is a beautiful place that is a tribute to the years of effort by Verde, the Let Us Build Cully Park! Coalition, the community, Commissioner Nick Fish and me, and Portland Parks & Recreation," Portland Parks Commissioner Amanda Fritz said. "The park construction would not have been accomplished without these partners' efforts, and the completion of the first community-driven parks project in an underserved, diverse area of town is a testimony to collaboration by many individual and agencies." 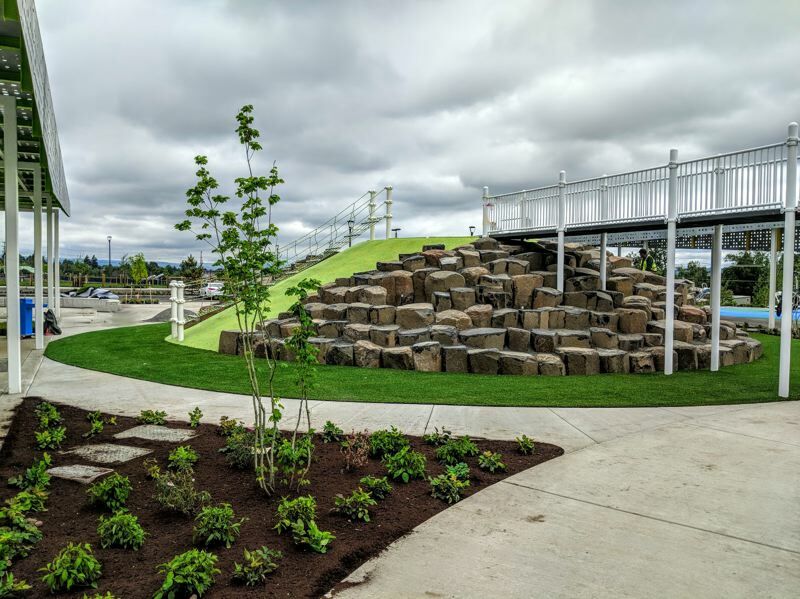 The project transformed the lot, which was once a landfill and before that a sand and gravel mine, into a park for one of the state's most diverse neighborhoods. In addition to being one of the most diverse with 53 percent people of color and 27 percent of households below the poverty line, the area was one of the most park-deficient neighborhoods in Oregon, according to the news release. Before the park opened, 517 families in the neighborhood did not have access to large open outdoor space and nature within a half-mile walk. The park was designed with "community engagement and economic opportunity" in mind, the news release says. It features a playground, a community garden, a youth soccer field, walking paths, an off-leash dog area and space for future sports fields. The park also has parking space for 50 vehicles, restrooms and covered shelters. Later this summer, Cully Park will be the location for Festival Latino, an event with live music, a soccer tournament and fitness activities. The event will take place Aug. 11 at 4 p.m.
"Cully Park is a statement about the power of community, and I want to especially thank the hundreds of Cully adults, families and children who worked so hard for so long -- my friends, you did it, you designed and built a park which everyone can enjoy, and which will serve generations of Portlander," Executive Director of Verde Alan Hipolito said. "From the unique Native Gathering Garden which will help honor and educate about indigenous cultural values and ethics, to sports fields, the huge play areas, climbing boulders, an overlook, dog off-leash area and much more, the park opening caps a much-anticipated, years-long process. 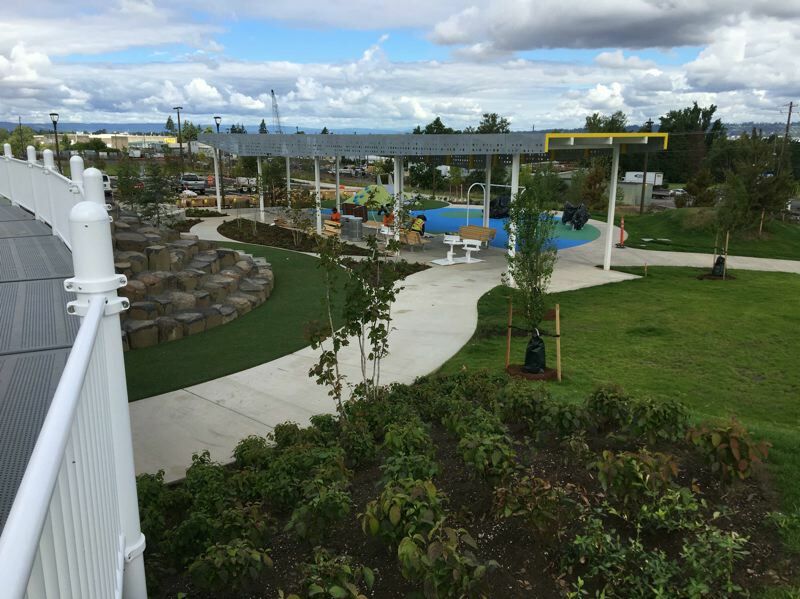 Cully Park is now a showcase destination for relaxation, reflection, and play," Portland Parks & Recreation Interim Director Kia Selley said.